Brachial and lumbosacral plexopathies represent a heterogeneous group of disorders including traumatic injury as well as infiltrating and inflammatory lesions. The anatomy of both regions is complex, creating challenges in their evaluation; electrophysiological testing is a key tool in the assessment of plexopathies. 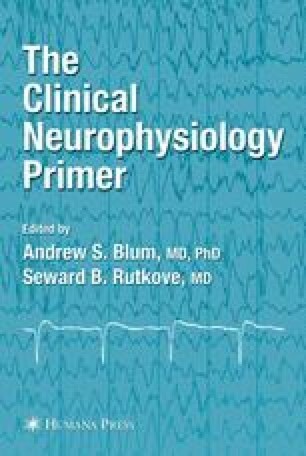 Accurate electrodiagnosis requires a comfortable knowledge of the relevant plexus anatomy and applicable nerve conduction techniques, as well as recognition of the underlying pathophysiological processes affecting these regions. The sensory nerve conduction studies are used to differentiate lesions of the plexus from radiculopathies, which they may closely resemble clinically and electrophysiologically. Motor nerve conduction studies, late responses, and needle EMG, in conjunction with the sensory studies, allow precise localization and often provide clues to the underlying pathophysiology of a given lesion.